Number of registration: Tomo 237, Libro 236, Folio 95, Hoja IB-9893. Up to 30 days prior to the event, 80% of the course tuition gets refunded (20% goes towards administrative costs). With cancellations less than two weeks prior to the event, there is no refund. In special circumstances 80% of the fee can be transferred to another class. Product refunds are available up to 14 days after purchase. Please send us an email to info@sageuniversity.com with the reason for your refund request. If the product is damaged, we will tell you where to send it and refund your money upon receipt of the damaged goods. 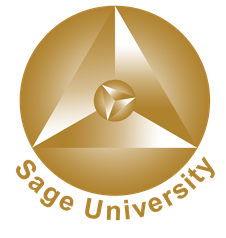 Sage University reserves the right not to be responsible for the topicality, correctness, completeness or quality of the information provided. Liability claims regarding damage caused by the use of any information provided, including any kind of information which is incomplete or incorrect, will therefore be rejected. All offers are not-binding and without obligation. Parts of the pages or the complete publication including all offers and information might be extended, changed or partly or completely deleted without separate announcement. Sage University is not responsible for any contents linked or referred to from this website. If any damage occurs by the use of information presented there, only the author of the respective pages might be liable, not the one who has linked to these pages. Furthermore the author is not liable for any postings or messages published by users of discussion boards, guestbooks or mailing lists provided on his page.